Scott runs Garden Staging, getting gardens ready for sale to make the best impression on buyers. Garden Staging donates one tree per invoice raised, and then matches that donation from its own funds, ensuring that every project undertaken has at least 2 trees planted to help restore Australia’s canopy cover and capture carbon from the atmosphere. Scott has some pretty big environmental goals – but we’ll let him tell you about those himself! Can you tell us a little about yourself and the inspirations behind your brand? From early on in life I have had a fascination with trees. I guess this comes from both growing up on the wild West Coast of New Zealand where you are surrounded by natural beauty, coupled with both of my grandfathers’ horticultural knowledge. Early in my working life I worked in nurseries for free to gain both knowledge in horticulture and to have the best chance of securing a job in the field over and above any other applicant. I spent my late teenage years crawling around the rainforests of south east Queensland and northern New South Wales in awe of the sheer majesty of trees. From there I went on to work in and run horticultural teams on the island resorts of north Queensland before then switching over to 14 years of business sales. A strong yearning to get back into the outdoors and amongst horticulture again, lead me to use my business experience to create Garden Staging – Be Sale Ready! Garden Staging helps vendors prepare their gardens for sale when the time comes to sell their home. Turning an old garden new again and framing the property for buyers gives me a real sense of achievement and helping vendors move on from their property for whatever the reason allows them to realise their dream of their next property. Why is caring for the environment important to you? Being brought up in a place of such natural beauty, I think it is ingrained in me. Some people have an intuition with music, some with art, some with helping people. Horticulture is more of an intuition with me and comes very naturally. There are all the usual reasons why caring for the environment is important, however with me, it’s just there! The amount of land clearing and decreasing canopy across the world over from humankind cannot go unhelped and needs to be replenished at an incredibly fast rate. Sure, there are natural resources that I feel are there to be used however like anything if you use, you replace and replenish. I think as a whole we have forgotten this along the way! What motivates you to support CNCF’s work in particular? Having been involved in coaching and selling small business now for 14 years, I feel it’s extremely important to give back to the community in some way if you are taking money out of the community, even if you are providing a service or product. What goes around comes around and by giving back, it ensures this circle is kept intact. Given the theme of my business and the core values it holds by giving to the environment, CNCF was the perfect choice for me – increasing the canopy of Australia. Garden Staging donates one tree per every invoice raised and then matches that donation from its own funds. So every project undertaken has at least 2 trees planted no matter how big or small the job is. My customers can be assured this is happening and regular updates are posted on my Facebook page to update the tally as well as proof from CNCF’s donation certificates which are published as well. Are there any other green initiatives that your organisation is working on? 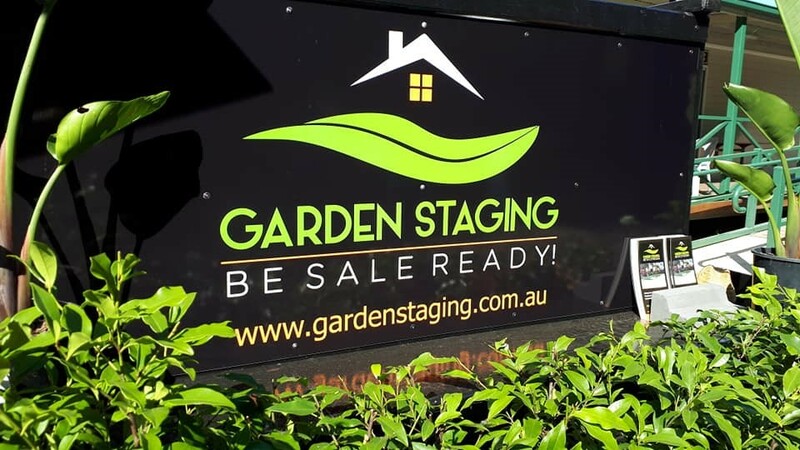 As well as helping to increase the canopy of Australia, we also look for ways to increase the suburban canopy/biodiversity with the help of our customers who are engaging Garden Staging to plant out their front and back yards. There are many benefits to this such as cooling the home, creating places for birds, animals and insects to nest, house and feed, stabilizing soil, reducing run off and increasing the biomass of suburban soils. Do you have any environmental goals that you would like to achieve? If yes, how and by when? Through the work of Garden Staging, we would like to see, between tree donations and the work we do, that there are 1000 trees and plants put into the earth every single year with the first year ending in July 2019. Since August 2018, we have planted nearly 200 trees, so we are well on track to meet and hopefully obliterate this goal. Within the next 5 years Garden Staging would like to see some land purchased, at least 5 acres, with the express purpose of tree planting on a degraded piece of land and having it recognised as a registered wildlife sanctuary through Land For Wildlife.